Do you plan on eating this Saturday? If you're like me and plan on eating er'ry damn thing, you should start your day in Morgantown and wolf down some delicious waffles! 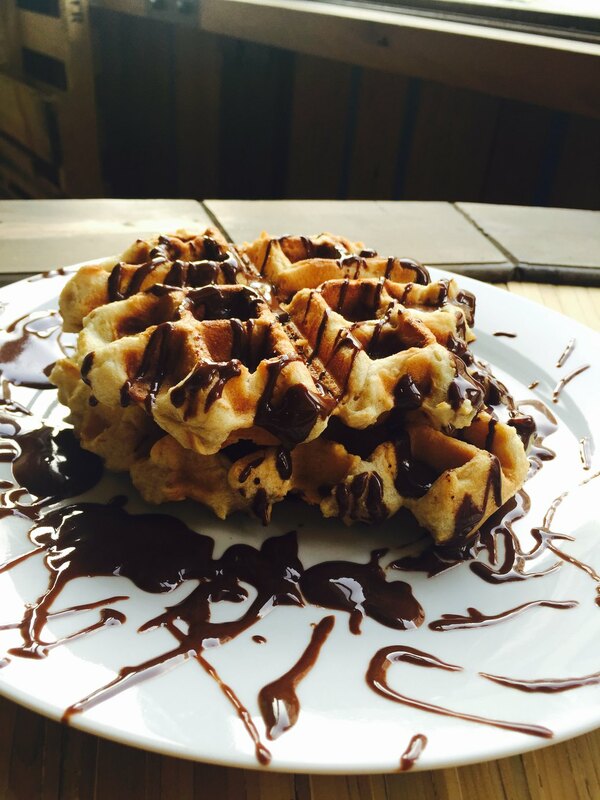 Fine & Raw Chocolate factory, at 288 Siegel St, is hosting their second all-afternoon brunch party to simply "celebrate the waffle," as the owner Daniel Sklaar told us. The waffle party starts at noon and goes until 6PM (for those of you unable to slither out of your beds at a non-hangover-friendly hour). They'll be serving waffle iron-pressed croissants stuffed with chocolate, coconut dulce de leche, waffles with maple syrup and butter (duh) -- all in the setting of palm trees and a post industrial sidewalk (like a tropical Mad Max-Ian foodie) with electric blues tunes by Whatblues. There will also be vegan options for people who hate food (I kid, I kid...). 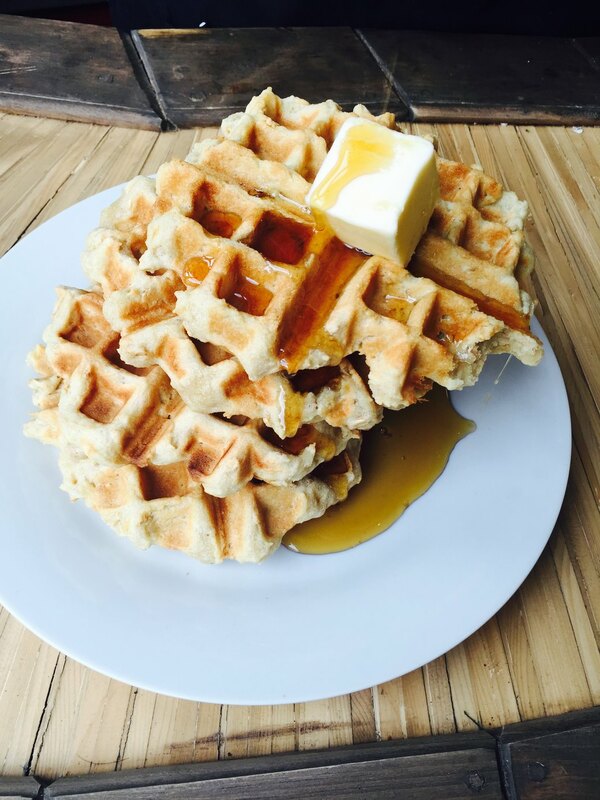 Check out the photos from the waffle brunch party held in April and begin to salivate now. 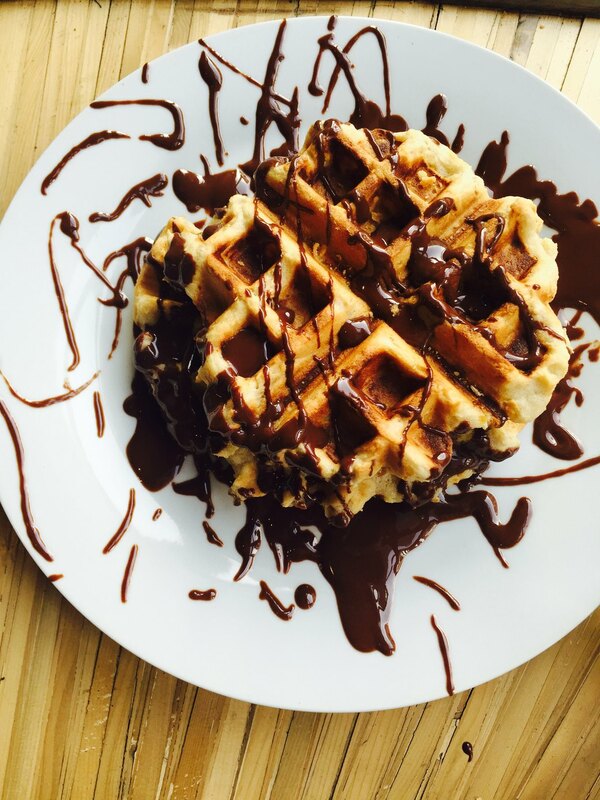 waffle BRUNCH PARTY, at FINE & RAW chocolate Factory, 288 Seigel St, East Williamsburg, noon - 6pm, admission free.